Catered chalet holidays essentially give you place to stay that feels like it’s your very own exclusive, inviting home, without your having to worry about food or drinks and keeping the space clean. This means that you can fully immerse yourself in having a proper getaway, all while enjoying the slopes and creating new memories with some of your favourite people. 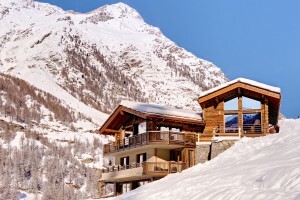 Ski-in Ski-out Chalets – These allow you to get skiing from the moment you leave your door and ski right back to your luxurious home in the mountains when you’re done. Luxury Catered Chalets – Although catered chalets inherently offer a world of convenience, exclusive luxury chalets will surprise you with anything from your own pool and private cinema to a wine cellar. Great for Groups – The sheer size of these chalets isn’t the only thing that makes them a good choice for families and groups of friends. They offer the perfect balance between a sense of independence along with opportunities to spend quality time together. With any of the above options, your breakfast, afternoon tea, dinner and drinks will all be provided for you and prepared according to your preferences – you don’t so much as have to lift a finger. 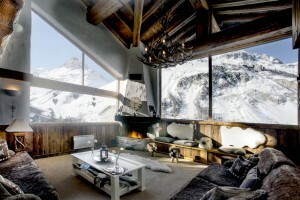 The chalets could also include comforts such as charming log fires, along with other extras like heated ski boot racks or relaxing saunas. That said, the level of luxury you choose is entirely up to you. 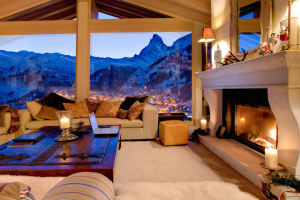 Allowing you to bask in spoils and, of course, the good company of your loved ones, catered chalet holidays are undoubtedly a stellar choice when it comes to ski accommodation. Go on one yourself and find out why so many others don’t opt for anything less.